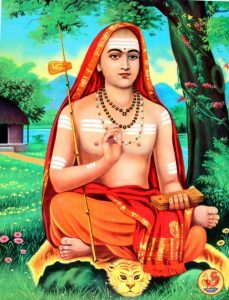 Our yoga tradition goes back to Adi Shankaracharya who established the Dashnami Sannyasa tradition into which Swami Janakananda Saraswati was initiated in 1969. The tradition has been passed on from one generation to the next through a close student/teacher relationship where direct initiation and personal experience is of utmost value. Our tradition is often called Classical Yoga. It is the kind of yoga which emphasizes working with every part of yourself – through physical yoga, breathing exercises, deep relaxation and meditation – with an attitude of surrender as this is expressed in Tantra. was born in the 8th Century AD in Kerala. He is recognized to be the undisputed spiritual leader of India, and propagated the Advaita Vedanta philosophy which expresses the essence of yoga. During the course of his life, he established the Dashnami Sannyasa tradition. 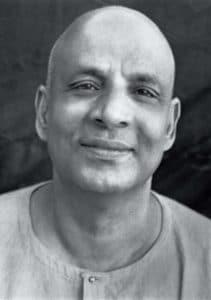 Dashnami sannyasins still continue to convey his eternal message of the synthesis of all beliefs culminating in Advaita, the monistic vision of reality in which all things are understood, ultimately, to be one. was born at Pattamadai, Tamil Nadu, in 1887. After serving as a medical doctor in Malaya, he renounced his practice to search for his guru in the foothills of the Himalayas. He settled in Rishikesh and was initiated into the Dashnami Sannyasa tradition in 1924 by Swami Vishwananda Saraswati. In subsequent years, he wrote hundreds of books and articles on yoga and spirituality to maintain and introduce yogic values in the minds of the general public. Swami Sivananda is seen by many people to be one of the greatest spiritual masters of India in the last century. was born in Almorah in 1923. When he was 19, he met Sukhman Giri from Juna Akhara, a tantric yogini from Nepal who, in the course of the next 6 month, initiated him in some of the secret rituals of Tantra. He joined his Guru, Swami Sivananda Saraswati, in Rishikesh and adopted the Dashnami Sannyasa life in 1943. He lived together with Swami Sivananda for the next 12 years. In 1955, he left Rishikesh to travel throughout India as a wandering ascetic. In 1956, he founded the International Yoga Fellowship Movement and, in 1963, the Bihar School of Yoga. He founded Sivananda Math in 1984 – a social and charitable institution to help the weaker, underprivileged sections of society. The same year the Yoga Research Foundation was etablished – an organisation for scientific research into yoga and meditation. 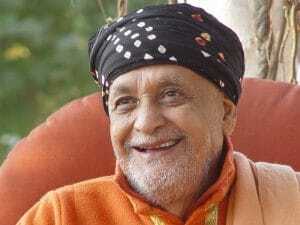 Swami Satyananda has authored over 80 best-sellers and classical texts on yoga and spiritual life. He is the spiritual guide to thousands of aspirants and the inspiration behind many yoga ashrams and yoga schools in India and abroad – including the Scandinavian Yoga and Meditation School. In 1988, he renounced his mission, adopting kshetra sannyasa, and lived as a Paramahamsa Sannyasin in Rikhia near Deoghar in Bihar until his death (Maha Samadhi) in 2009. In his last years he was involved in improving the living conditions in this area, giving the local people a better life, and in meditation for the benefit of all.